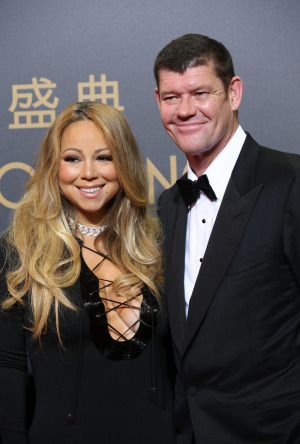 When Mariah Carey and James Packer split we were disappointed we wouldn’t be seeing her wedding dress as she walks down the aisle. However, it turns out we do get to see it after all, as Carey burns it to a crisp in her new music video for her single, I Don’t. In the film clip, Carey dances around an open-air bonfire before hurling the $320,000 Valentino gown into the flames. The song is an obvious nod to Carey’s former fiancé (I Don’t, rather than I do?) and according to The Daily Mail, Carey is, in fact, burning the USD $250,000 Valentino wedding dress she planned to wear to her Bora Bora nuptials to Packer on film. TMZ is reporting the burning also took place in the Calabasas, California home Cary and Packer shared – just to make it hurt that little bit more.